Place the chilli, shallot, garlic, cilantro and coriander seeds in a mortar and using a pestle, pound it to a smooth paste. Transfer the paste to a bowl and add turmeric, pepper, fish sauce, coconut milk and beaten egg, stirring to mix evenly. Spread the rice flour out on a large plate. Dip the fish strips into the paste mixture, then into the rice flour to coat lightly. 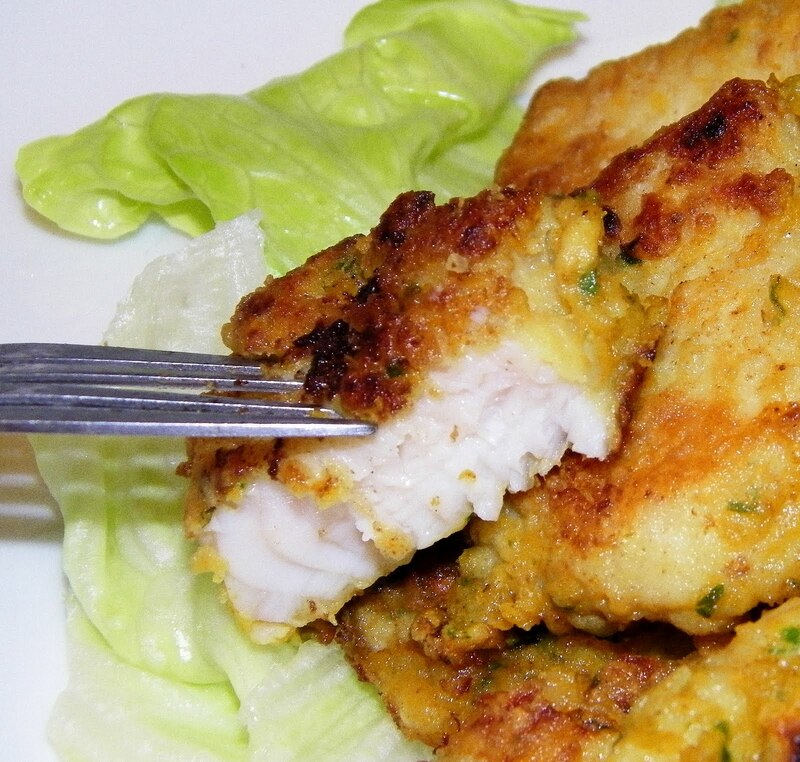 Heat up oil in a pan and pan fry the fish fillet until golden brown on both sides. 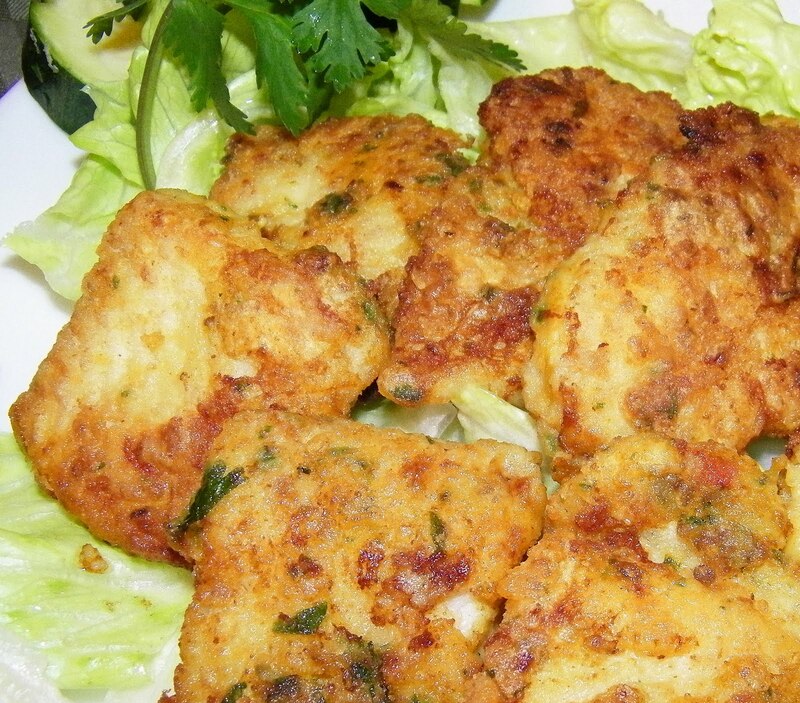 Transfer to a serving plate and serve with your preferred dipping sauce.